Aung San Suu Kyi is the 1991 Nobel Peace Prize laureate. 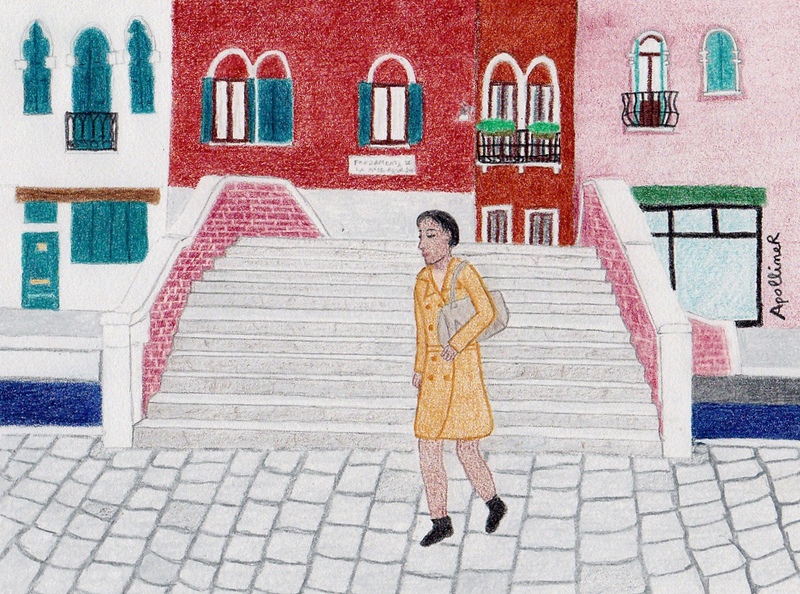 In 1988, she gave up her scholar career and left her family in London to go back to her native country Burma and she became politically engaged against dictatorship. Between 1989 and 2010, she spent 15 years jailed. Upon release, she was elected Member of Parliament. Today she’s working towards Burma’s democratisation by conversing with those who imprisoned her. In short, she’s afraid but she goes on and she pretends that she’s not afraid. Anyway she’s a good actor because she looks like she really doesn’t fear anything. 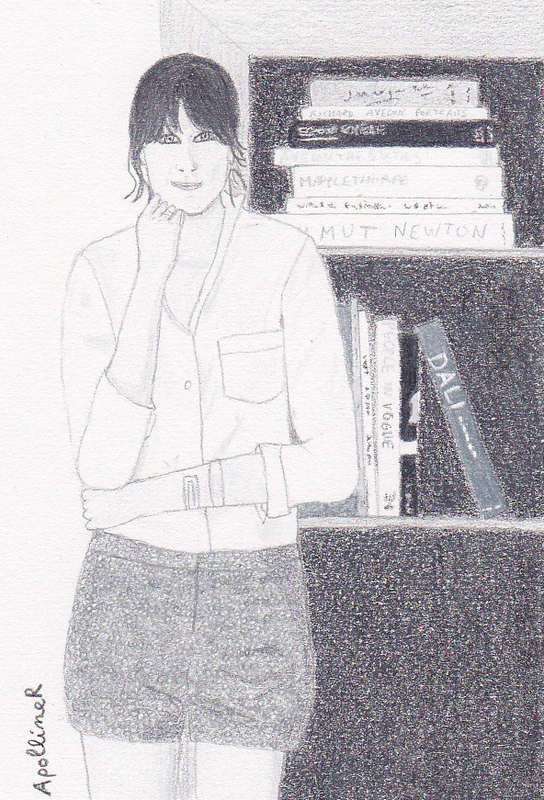 I have drawn Marion Cotillard wearing a Dior light grey skirt suit with short sleeves and a wide belt. I spotted this outfit in 2009 and I still like it today, most probably thanks to its elegant and timeless style. These days, I’m searching a beautiful ceiling light. Actually, I have already found my dream chandelier but the problem is that it’s 9 meters high. 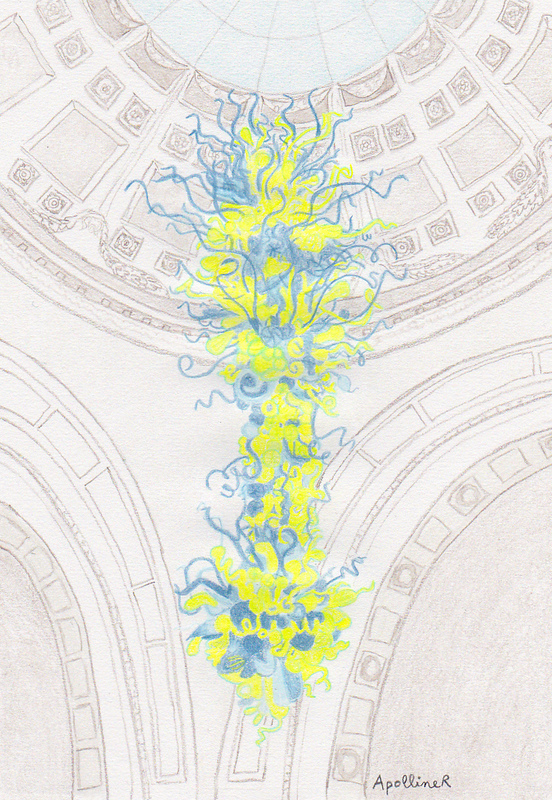 It’s a glass sculpture with interwoven yellow and blue tentacles by artist Dale Chihuly. This wild chandelier adorns the entrance dome of the Victoria and Albert Museum in London. I just find it great. 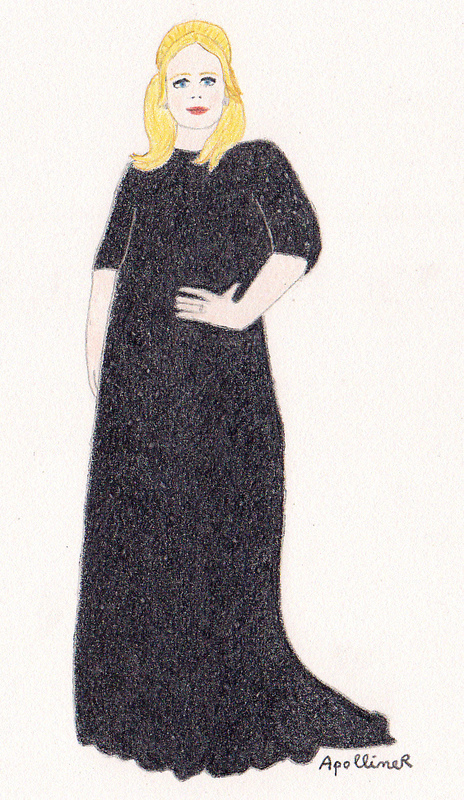 On her arrival at the 2013 Oscars, singer Adele is wearing a long black gown by Jenny Packham. The dress is sprinkled with sparkling black rocaille beads. Its dark color nicely contrasts with Adele’s blond hair and porcelain complexion. 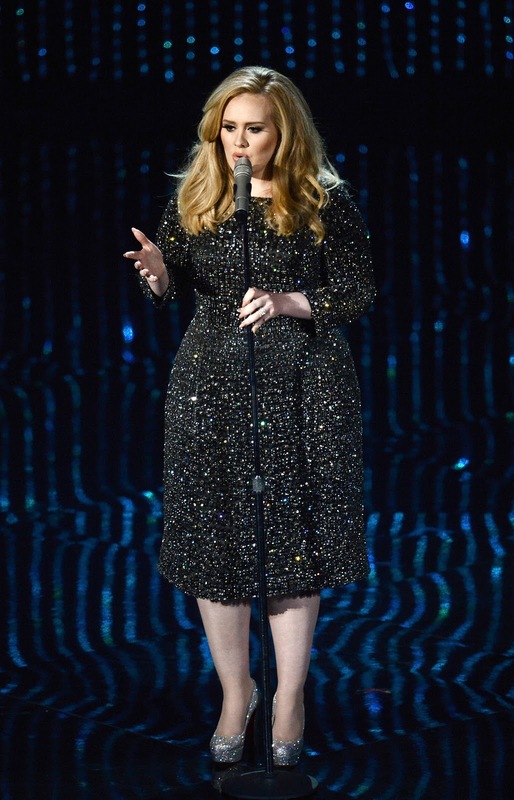 Later in the evening, Adele is is wearing a Burberry black below the knee dress to perform Skyfall live then she’s wearing a third long black gown by Burberry to accept the Best Original Song award. It’s unusual to see a graffiti in harmony with its environment. Generally, it looks out of place in order to be noticed. On the contrary, the graffiti I have depicted is like the caption that describes a picture. 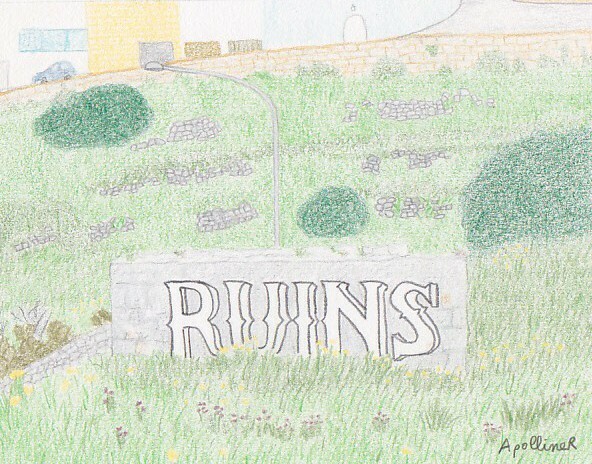 The word “ruins”is tagged on a abandoned building, that indeed threatens to fall into ruin, in the middle of fields in Malta. Its good integration into the landscape may be the reason why it hasn’t been removed yet. 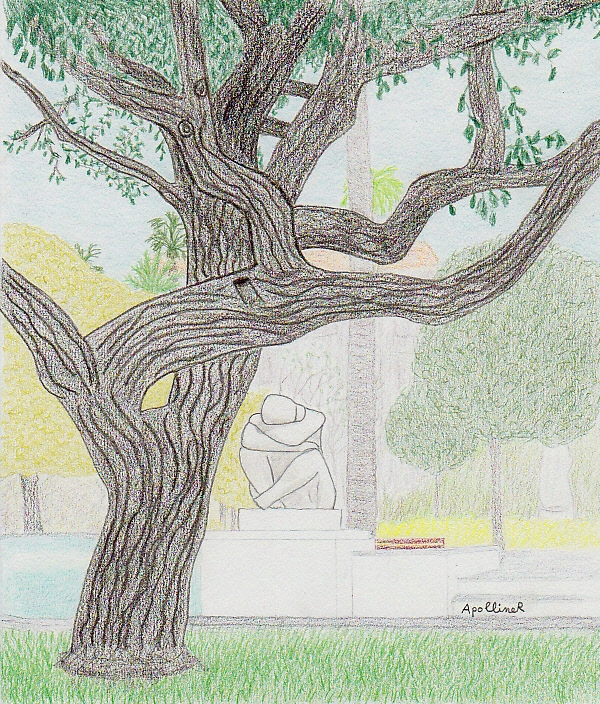 I have drawn a view of a public garden in Nice, in the French Riviera. I think it is both beautiful and sad with an old knobbly tree with tangled branches in the foreground and behind it the statue of a huddling woman. By your rich tears, debouches in my heart. My soul is slaked upon the tears you shed. Could trample down the conquered human race. What evil gnaws her flank so strong and sleek? 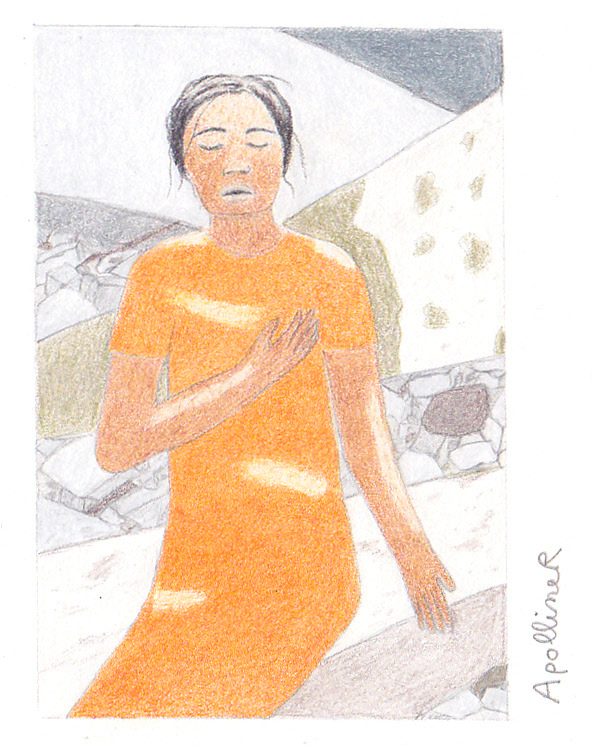 She weeps because she’s lived, and that she lives. The next day, and forever — like us men.